From British Columbia to Hong Kong, UBC alumni are a diverse but connected community. 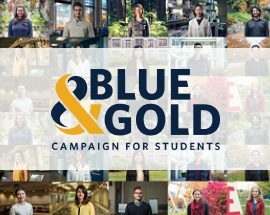 It doesn’t matter if you’re Class of 2012 or Class of 1958, Okanagan campus or Point Grey campus graduate—each alumnus has an important place at UBC. What have your UBC ties helped you achieve? Our graduates are educators, artists, nurses, scientists, and community leaders. Together, we are a powerful network that can shape our world for the better. How can you make a difference today? With UBC, your time and talent can change the world. So reach out. Volunteer or mobilize with classmates. You are a role model, a mentor, an advocate and trailblazer. Change started and continues with you.